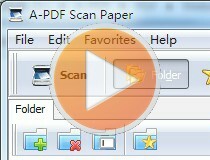 Which tool to delete black edge of scanned papers then change into PDF format? Is there any easy software to delete black edge of scanned papers then change into PDF format? Select a folder in default directory for saving converted files, you can change the Root path by "File\Options\Root path"